BOSTON (AP) — Black students at Harvard University are organizing a graduation ceremony of their own this year to recognize the achievements of black students and faculty members some say have been overlooked. More than 700 students and guests are registered to attend Harvard’s first Black Commencement, which will take place two days before the school’s traditional graduation events. It isn’t meant to replace the existing ceremony, student organizers say, but rather to add something that was missing. Harvard joins a growing number of universities that have added graduation events for students of different ethnicities. Some have offered black commencement ceremonies for years, including Stanford University, Marshall University and the University of Washington. Some have added them more recently, and are also adding events for a variety of cultural groups. The May 23 event at Harvard will feature four student speakers discussing the hurdles they faced on the way to graduation. Every student will receive a stole made of traditional African kente cloth, meant to symbolize their shared heritage and to be worn with their cap and gown at the university’s graduation. Students have raised $35,000 for the event, mostly from schools within the university. Organizers say some university deans and professors have agreed to attend. A Harvard spokesman declined to comment. Students at Harvard began an annual Latino graduation ceremony in 2015, and black undergraduates have held similar events. Students say the new event is the first that’s open to black students across the university. The University of Delaware held its first ceremony for LGBT students this year, joining dozens of other colleges that have added such “lavender graduation” events in recent years. 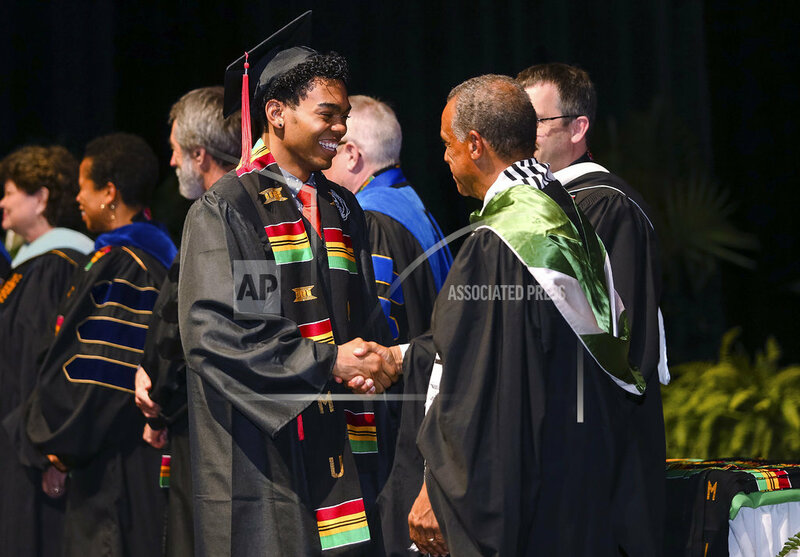 Along with its traditional commencement, Virginia Commonwealth University last year added new ceremonies for black students, Latinos and military veterans. Cultural graduation events are typically started by students, experts say, and often by those who feel marginalized on their campuses. They can be particularly important for black students, many of whom are the first in their families to graduate from college, said M. Evelyn Fields, president of the American Association of Blacks in Higher Education. Black students at Harvard represent 5 percent of the overall student body, compared with whites, who make up 43 percent, according to federal education data. Campus tensions at the Ivy League school have been heightened over the past two years after a series of racially charged episodes. Harvard police called it a hate crime when framed portraits of several black law professors were defaced in 2015. No suspect was found. Months later, the law school agreed to abandon its official coat of arms after student activists protested the symbol’s ties to an 18th-centry slave owner. Organizers of the Black Commencement say it’s partly meant to highlight racial disparities on campus. But ultimately it’s a celebration of achievement, said Jillian Simons, a law student and president-elect of the Harvard Black Graduate Student Alliance. Tags: #blackharvardstudents#students#black#harvard#graduation, black, Black students, students. Bookmark the permalink.